In the most anticipated World Championship quarter-final, the LCK’s number one seed, kt Rolster, will battle it out with China’s second-seeded Invictus Gaming. kt won Group C off the back of a 5-1 performance, their lone loss coming at the hands of EDG. One of the most dominant teams thus far, kt completely suffocated the opposition with their incredible vision control and mechanical prowess that they displayed with absurd consistency. Fielding both the oldest player in Score and youngest player in Ucal, kt have a mix of experience and skill to rival any team in the world, with a true shot at making it to the finals. Every single member of the squad has outperformed even the most lofty of expectations thus far, with Mata being a standout player. With highlight plays on the likes of Thresh and Gragas in particular, the playmaking Support meta has been the perfect fit for Mata, with a chance for the former world champion to claim his second title. The question marks remain over Ucal. The youngest player on the team by far, he continues to lack international experience in high-pressure matches, only playing the single best-of-five contest (when the side took home the LCK Summer title). That said, Ucal has performed well thus far, with a solid champion pool and show-stopping plays, especially while on Azir. It is hoped he can match up against one of the best performers of the entire tournament in IG’s Mid-laner Rookie. Invictus Gaming have limped into the play-offs, with two losses to Fnatic, including a tie-breaker that caused them to lose the top-seeding in Group D after opening with five straight wins. However, those were two highly competitive matches, with Fnatic appearing to be at their peak at the most unfortunate of times for IG. All is not lost for the LPL representative, however, as they do have some things going for them as they enter the best-of-five stage of the tournament. Invictus have been one of the squads most willing to use their six-man roster, even during the best-of-one Group Stage, with Duke and TheShy splitting time in the Top lane. Each player has clearly defined roles within the team, with Duke playing more around the team while TheShy plays the likes of Fiora and looks to exert his incredible mechanical prowess. Going up against Smeb is certainly a tall order for either Top-laner, but the flexibility they have between their players should be a boon during this quarter-final. IG also have the aforementioned Rookie, who has been an absolute monster throughout the Group Stage. Including completely destroying Fnatic’s star player Caps during their first showing, Rookie has been a top performer with his diverse skillset flourishing. He has at times been caught out of position, especially in the latter games against Fnatic, although that’s just a minor setback given his other incredible showings. One player to watch is Bottom-laner JackeyLove, a fiery player who ended up playing six of IG’s seven matches on Kai’Sa. 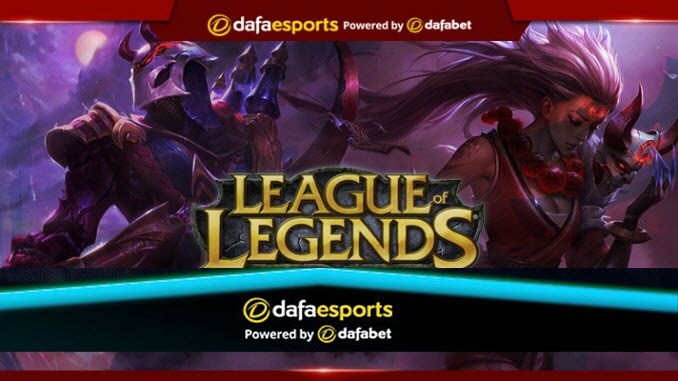 JackeyLove looked lost during IG’s back-to-back losses to Fnatic and now faces a difficult match-up against Deft and Mata in this showdown, the winner of which will meet either Royal Never Give Up or G2 Esports in the last four.